The following items will be before the Committee of Adjustment on Wednesday, December 2, 2015 in Committee Room 2 of Toronto City Hall, 100 Queen Street West. The following items will be before the Committee of Adjustment on Wednesday, November 18 2015 in Committee Room 2 of Toronto City Hall, 100 Queen Street West. The safety of all road users is a priority for the City of Toronto. That’s why the City is reminding pedestrians, motorists, and cyclists to take extra care, especially as we enter the fall season when daylight hours are reduced. Statistics show that during autumn, there is an increase in collisions involving pedestrians. 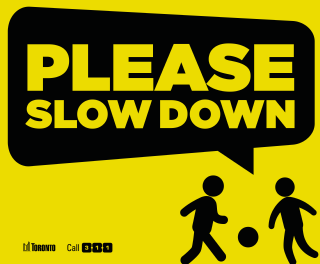 The City has produced lawn signs that encourage all motorists to drive safely as they travel in our neighbourhoods. If you would like to get a lawn sign, please call Mike Layton’s office at 416-392-4009 to arrange for pickup from Monday to Friday, 9am-5pm. You may also pick up a sign for your neighbours. It’s critical to be aware of your surroundings at all times when you are travelling. All road users need to remember that safety is everyone’s responsibility.